The Unreal Engine 4.5 release is almost upon us, and by us I mean developers who are paying the $19 per month subscription for the engine. 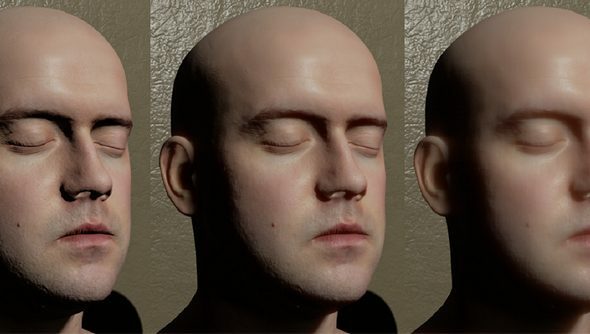 There’s a long, meaty list of new features like the new dynamic shadowing technique, ray traced distance field soft shadows; a new subsurface profile which, among other things, can be used to create more realistic skin; and Unreal Motion Graphics, the new GUI designer. Epic’s been continuing to work on the engine with the community of developers who are actually using it, and more than 40 features have been contributed by them. A similar approach is being taken with Unreal Tournament as well as the Unreal Marketplace. This update also sees a bunch of sample content being thrown into the mix. The twin stick shooter template allows developers to experiment with top down, arcade shooters; the advanced vehicle template provides a test track and a vehicle to play around with, and support VR headsets; while the artist template map has been created to give artists a space to test different lighting setups, seeing how they will affect their content. All this new stuff is a bit overwhelming, but the documentation has been updated and now includes a video system that apparently makes it easier to find video tutorials. Take a gander at the update preview here.